For many of us, the holiday period is about reconnecting with family and friends at the darkest time of year – enjoying many pleasures and traditions but also having to sometimes bear the stress of unmet demands, disappointments and unfulfilled expectations. 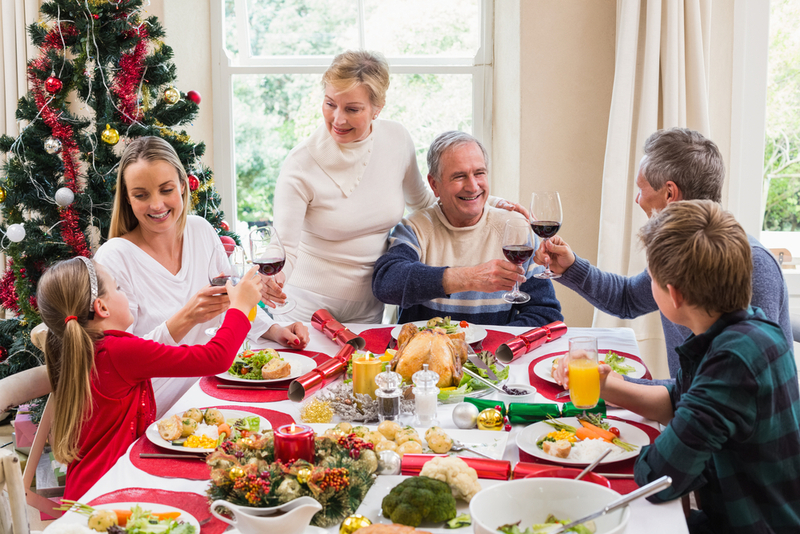 Even the best family situation can be a highly stressful and difficult time especially when accentuated by fond memories of holiday celebrations past and loved ones no longer present. This is the time of the year with the shortest days and longest nights. It is dark when we wake up and dark when we come home after work. It is also a time with greater awareness of a “loss” or a “lack” in some important area of our lives: family, relationships, and personal career are three of the most common. At this time of year, it is common to be plagued by thoughts of helplessness or hopelessness that the negative elements of the season could ever be different – perhaps coinciding with feelings of guilt, worthlessness, or shame. It is common to have expectations that these holidays, or the coming year or the future will be or should be really different. Add in recent world events and developments, and it can be hard to feel joy, optimistic, and forward-looking into the future. • Remind yourself regularly of what you feel grateful for. For example, this year the Syrian refugees situation is a useful reminder of what we can be all be grateful for in our daily lives. • Look for opportunities to be of service to others and with others: volunteer organizations, neighbours, friends, and pets. • If you are in a negative family situation, limit your exposure and make time for activities that you find pleasurable. • Seek out old traditions of celebrating the season that you have found comforting or uplifting in the past. Attend music events, celebrations, services, or build your own traditions that bring greater meaning to the season. • Spend time outside in enjoyable daily activities. Go for a walk, visit a neighbour, go to a local centre or coffee shop. Avoid shopping malls. • Do something entirely different from what you might have done in the past especially if you can share the experience with someone you like or are close to. • Keep perspective on the season and use the opportunity, especially this year to celebrate the deeper meaning of the season. • Make an effort to change the things you’re not happy with but be prepared that there may be some things that you can live with even though they’re not your preferred choice. • Challenge any unrealistic expectations you have about how things could be so much better; take pleasure in the small joys and cherished moments.